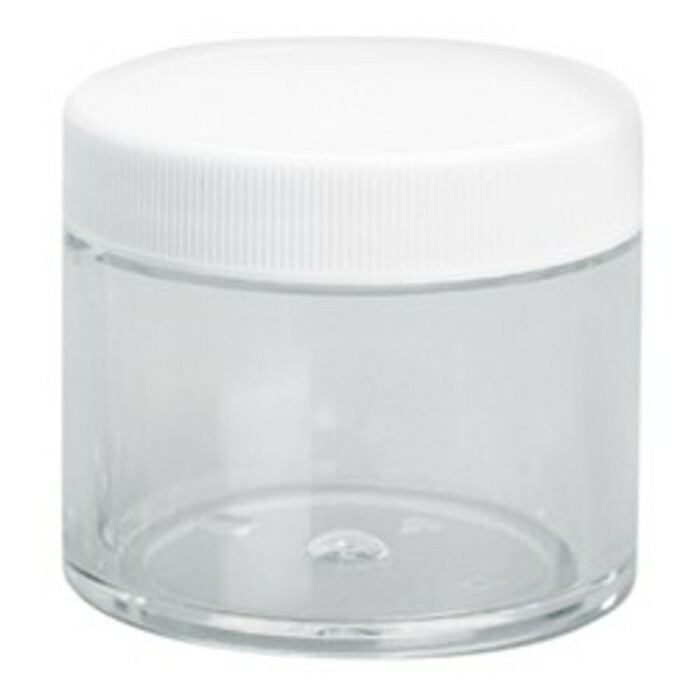 Clear Plastic Jar with White Lid is for storing lotions, acrylics and more. 2 oz. Perfect for your natural skin care creations. Features an attractive round plastic base with white wide-mouth dome lid.